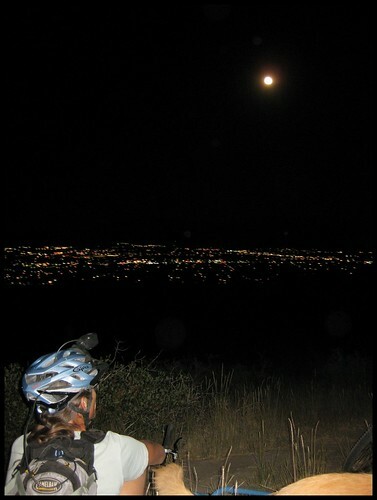 Tonight (Friday) is the Full Flower Moon Ride at 7 PM in Ash Canyon. We’ll be meeting at the Foothill Drive trail head near the big retention basin. The ride will start in the daylight, but the sun will go down around 8:00. 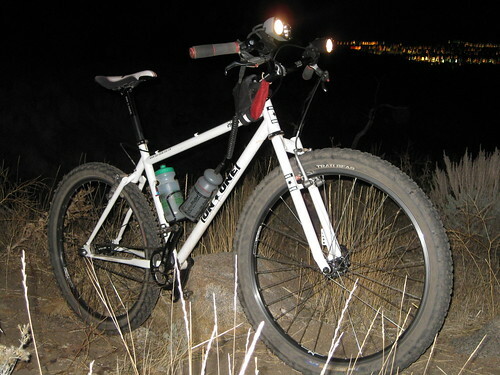 Lights or nocturnal vision required if you want to ride into the night! And of course, bring your helmet! Map HERE. The short dirt road off the curve of Winnie Lane. The ride will be on the singletrack trail network of Ash Canyon. Trails range from novice to intermediate, but there is a fair bit of climbing. Also, some of the trails can be more difficult in the dark. It’ll be a hoot! Yipeee! Its gonna be warm too. Can’t wait! I sure hope Bambi’s mom doesn’t read this blog and see that Moser and Marcus are going night riding.